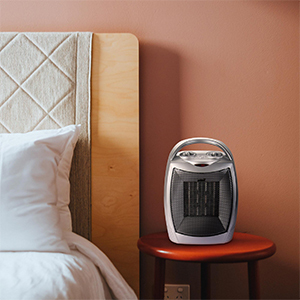 Keep quiet and uncluttered with Brightwon 750W/1500W Powerful Ceramic Space Heater. 3 heating-settings and safe ceramic elemen-t solution provides convenient and comfortable warming. Specially designed for dorm, bedroom, office and many other medium size living spaces. 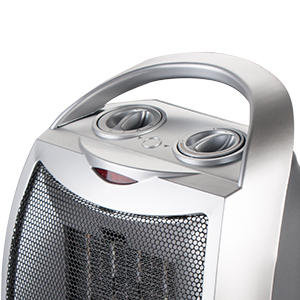 The portable heater allows you to heat up the spaces you are in to reduce energy consumption. You can lower your thermostat and lower your energy bills. 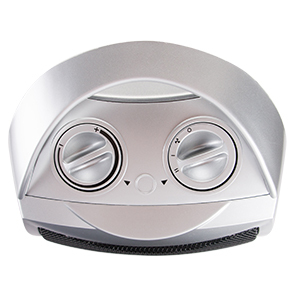 Brightown Ceramic Heater features three different settings with an adjustable thermostat. 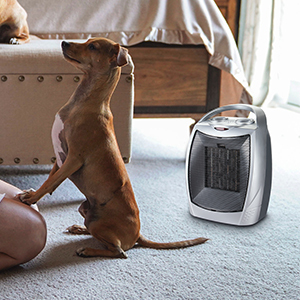 Select your Heating Preference for instant warmth. Built-in carry handle and lightweight design for easy relocation. Just plug directly into an outlet and get cozy.